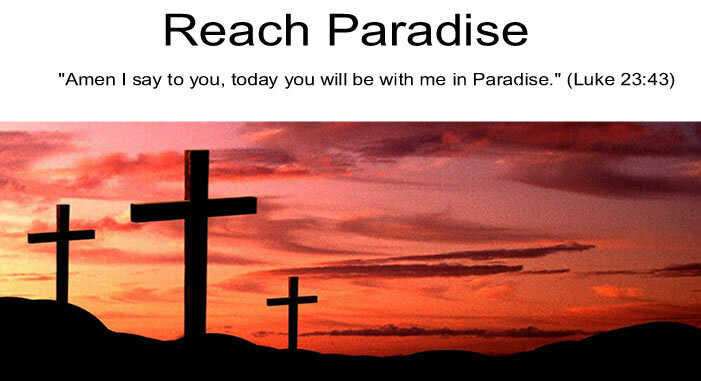 Reach Paradise: What if They Never Mentioned It? I sat pondering what I could post about the Solemnity of the Most Holy Body and Blood of Christ. I mean, what could I write that hasn't been written? What else could I say about the most holy of Sacraments? The only thought that kept popping in my head was ... what if no one wrote about it? At first I laughed at myself, questioning how one of the most important events in history would go unrecorded. But the more I thought about it, the more I decided it wasn't that improbable. What if they just second guessed what Jesus really meant? It wasn't the easiest event to decipher in retrospect. What if they just glossed over it during the mayhem that ensued shortly thereafter, forgetting the command to repeat that meal in memory of our Lord? And even if they didn't forget it, surely they thought twice about trying to explain to folks that normal bread and wine miraculously changed into the actual Body and Blood of a Carpenter, right? How about convincing people that eating the Body of their Teacher was not cannibalism? Of course, I'm sure the Holy Spirit would have inspired them had they taken a different course. But as our priest held up the Blessed Host and uttered "Take this, all of you and eat it", I not only thanked our Savior as I always do, but I also thanked the Evangelists for passing on this most Blessed Sacrament through their writings. Very reflective post, Michael. But thank God they did write about it. I join you in that prayer if thanks. I suppose the Real Presence is one of the mysteries of our Faith which we just have to accept and believe without trying to understand it. He never asked for understanding. Only trust. This was a nice way to start out the morning, reflecting on the Body of Christ. Thank you Michael! Thinking about this, I'm very grateful that they did mention it and that they "got it" despite all the others that walked away. It is the greatest gift in our lives. So many people today don't "get it" anymore and don't believe in the Real Presence. Makes me wonder why they go to Communion at all.